James Taylor and Chaka Khan are among those serenading the singer-songwriter with her own songs Wednesday night. 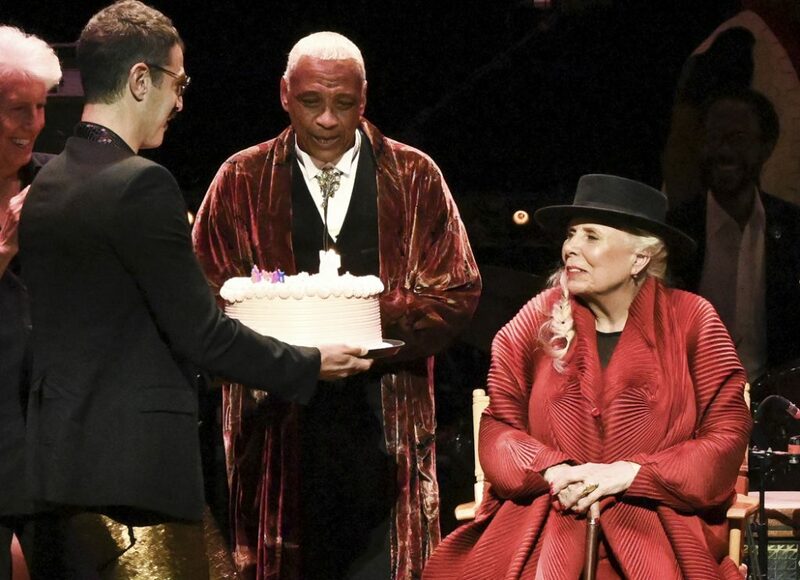 LOS ANGELES — As an adoring-but-anxious crowd wondered whether she’d appear at an all-star concert celebration on her 75th birthday, Joni Mitchell was stuck in traffic. “Pave paradise, put up a parking lot,” they all sang, in a building that was surrounded on all sides by parking lots. It was paradise anyway. At least for a night. So your favorite band hasn’t toured since you had a mullet? You can probably see one a lot like it in the coming weeks.